Cassie Sainsbury update: CCTV footage of 'mystery man' obtained. Police have obtained CCTV footage of the 'mystery man' who was with Cassie Sainsbury. One month after 22-year-old South Australian Cassandra Sainsbury was arrested on charges of drug trafficking at a Bogota airport, Colombian police have taken the first steps in investigating her claims that she was ‘set up’. According to News Corp Australia, Colombian investigators have seized the only piece of evidence that could prove Cassie’s innocence: CCTV footage of her being visited by a man in the lobby of her hotel. Watch: The first footage of Cassie Sainsbury behind bars. Post continues after video. Ingrid Hernandez, the owner of the hotel where Cassie stayed for eight nights during her time in the Colombian town, confirmed that police had retrieved footage of ‘Angelo’ from their archives. Since her arrest, the former personal trainer has maintained she did not know that her luggage contained 5.8kg of cocaine. Instead, she said she was ‘tricked’ by a man, named Angelo, who gave her 18 plastic wrapped packages that she believed were headphones. Last week Hernandez told 9 News that unlike other guests, Cassie chose to stay in her room for most of her stay. Speaking to The Daily Telegraph, the manager also confirmed that Cassie&apos;s sole visitor during her stay - which she didn&apos;t make a reservation for and paid for two days at a time - was a "well-dressed Colombian man". The news of the investigation comes just one day after footage of Cassie laughing with her follow prisoners behind the bars of El Buen Pastor prison emerged. 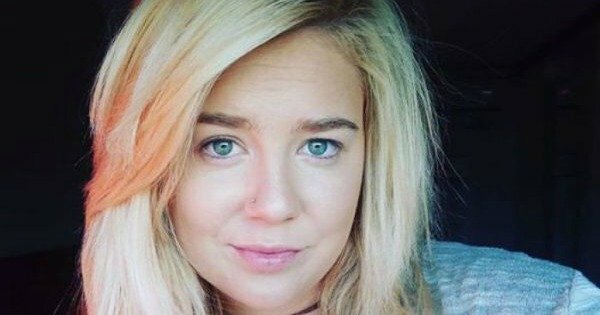 LISTEN: There&apos;s a reason why we are all so obsessed with Cassie Sainsbury&apos;s story. In the video footage, Cassie can even be seen dancing and waving to the cameras. At one point she hands a sign to one of her fellow inmates to hold up. Translated from Spanish, the sign reads, "Cassandra asks for freedom immediately". A fellow inmate holds a sign for Cassie (in pink) behind bars. Image via 7 News. 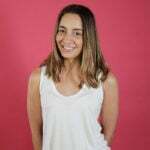 News Corp Australia also reports that Cassie&apos;s mother and sister are on their way to visit Cassie in Colombia, after signing a lucrative contract with Channel Nine&apos;s 60 Minutes to share their story. The 22-year-old - who is engaged - faces up to 25 years in prison if she is found guilty.